While Google Glass is only available to purchase in the US and the UK, video eyewear specialist Vuzix is hoping to gain a foothold in China with a similar head-mounted wearable. The company is partnering with Lenovo to launch its M100 smart glasses in the region. They’ll be marketed exclusively by the giant laptop and smartphone maker under its ‘New Business Development’ brand, suggesting the futuristic hardware will be aimed squarely at enterprise customers. First spotted by Engadget at CES 2013, the M100 bares more than a passing resemblance to Glass. Whereas before it looked like an uninspired PC headset, with a band that went over the top of your head, it now comes as a traditional pair of glasses with a separate module fitted on the right-hand side. It’s worth noting that a second version is also available. This version is for commercial use and comes with a detachable module. It can be fitted to a pair of safety glasses or an over-the-top band, similar to prior iterations seen at CES. For its launch in China, Vuzix is updating its M100 smart glasses with Chinese language support and voice recognition, local mapping and cloud-based services that are prominent in the country. The company says its partnership with Lenovo should allow it to expand into other markets in the future. The device itself runs on Android and boasts a single display that sits just in front of your right eye. A camera can record photos and video, and it supports Bluetooth 4.0 for pairing with another Android device. 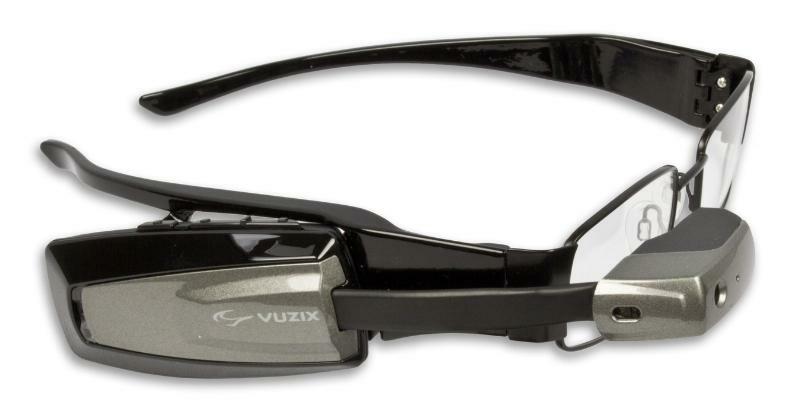 Vuzix says the M100 supports thousands of existing apps and an “integrated head-tracking and GPS system” can determine your exact location, direction and angle of view. Vuzix expects the first sales shipments to begin in September, before a full marketing push throughout the fall. Prices haven’t been disclosed, although its site has them listed for $999.99 (USD).